In most countries competition policy plays a role in fighting the problems that arose from the characteristics of our economies. Indeed, the history tells us that each economic system has its specific features and, thus, its own problems (besides the existence of some common features): in what is commonly referred to as “market economies”, characterized by the role of competition, the problem of markets behaving in an anti-competitive manner seems to be intrinsic to the economic structure. Authorities seem to admit this reality and make legislation for avoiding it. Cartels are one of the key areas of intervention of competition authorities. These are fought by the fact that firms join themselves to charge higher prices to consumers: society seems to loose with the existence of cartels. However, the criterion in competition policy is that the key aim of interventions is supposed to be enhancing society’s welfare (the key concern is, in several countries, such as Portugal, consumers). When we aim at solving the problem of double marginalization with a mechanism such vertical integration, we are admitting implicitly that the advantages that the elimination of this externality imply compensate for the fact that it creates risks of market foreclosure (surely, the UE may forbid them if a great risk of market foreclosure is created). The problem that competition policy addresses is, in this sense, the abuse of market power that puts welfare at stake. Unions are organizations of workers aiming at defending their collective rights and interests. When you say that, necessarily, “if they [workers] decide to disagree with employment contract, they may submit a notice of termination of contract, let a feed by husband/wife, find another job or start a business”[i], your reasoning can also be used to defend that if you consider to be a victim of a cartel, you are able to stop consuming its products or build your own. The problem of abuse of dominant position exists in a cartel and it seems to be wiser – or at least fairer -, to admit the issue than ignoring it. In an equivalent way, as the law (up to me, properly) considers that employers might abuse of their dominant position, it makes sense that it predict that workers can organize themselves to fight these abuses. The power of the buyers seems to be a way of fighting the abuses on the supply side of the economy in what concerns trade of goods. In this relation, the “real power” is on the supply side, and thus the risk of its abuse is on there. In the labor market, the power is on the demand side, i.e., on firms’ owners: these are the ones having the power to make the decisions, and workers submit to them. It seems logical that the supply side (workers) does something to combat, at least partially, abuses from the firms. Finally, it is not true that “employees will not be punished for the strike”[ii]: so as if, for instance, oil consumers decide not to consume it to protest against its abusive prices are incurring in a sacrifice, workers are incurring in a sacrifice while being on strike, since they are not collecting a wage (it the days of strike are covered by the labor unions, through workers fees, it is a form of insurance, it does not change the big picture). With a difference: one can probably survive relatively easily without oil, while without a wage – if no other sources of income are available -, one can only survive temporarily. Categories: Abuse of dominant position, Competition Policy, Economics | Permalink. Some days ago, there were some developments in Google’s case. Before the identification of those developments and of their main driving forces, let me make a better contextualization of the case (it can be valuable to understand the “news”). The first steps of this complex process were given in February 2010 when the European Commission notified the Google that it has received complaints from three companies (British price comparison site Foundem, Microsoft’s Ciao!, French search engine ejustice.fr!). Some months later, in November 2010, the EC initiated an investigation, looking into 18 formal complaints against Google’s practices. The preliminary conclusions indicated the four antitrust concerns which are well summarized in Ana’s post. Approximately four years after the beginning of the story (and one year after this post! ), Google has agreed to a settlement with the EC. Basically, in the beginning of February 2014, Google agreed to make concessions on how it displays competitors’ links on its website (regarding the other concerns the EC has already accepted their concessions). Additionally, the agreement is valid for 5 years. As consequence, Google avoided a in-deep investigation which could have resulted in a fine of up to 3.5 billion euros (!). Who were the winners with this deal? Maybe we can find several “winners”. Although initially denying the allegations, Google accepted the deal. Can we understand this decision? Let’s start with the most obvious reason: they avoided the risk of a €3.5bn fine (and the possible consequences of it). They also escaped from a court battle which could take several years and employ a vast number of resources. Furthermore, they escaped from a finding of wrongdoing. We should not think only about monetary costs, but also indirect costs such as reputation costs. Additionally, they do not have to make major modifications in other products or in the structure of the company. But, in my opinion, the main achievement of google was that they have not to give access to regulators to their secret algorithm. Don´t forget: “secrecy is the foul of business” and in this case the algorithm is the Google’s “crown jewel”. Considering all these reasons, I can only conclude that Google achieved a victory. On the other hand, the EC also reached a victory. It is known that a finding of anticompetitive practices in this case could result in a record fine but we have to be aware of the consequences and risks of an investigation and a court battle. Firstly, the EC would have to employ large part of its resources in the investigation. Additionally, the end of investigation was unpredictable: they would face the risk of a final decision without the desired changes. Even with a favorable decision, they would have to subject consumers to the current harmful practices until the final decision (how many more years would it be?). With this agreement, the EC not only avoided the annoyances and the risks of a court battle, but they also ensured that some changes will be made ​​in a very short period, benefiting the consumers. I have already discussed about the effects for Google and consumers (who are protected by the European law). What about competitors? The deal did not satisfy the competitors, even thinking that it will produce positive effects in a rivals’ view. David Wood (at the lobby group which accounts five complaints, including Microsoft) said “Without a third-party review, Almunia risks having the wool pulled over his eyes by Google”. Joaquín Almunia, EC vice-president in charge of antitrust policy, gave a statement that can work as an answer: “my mission is to protect competition to the benefit of consumers, not competitors. I believe that the new proposal obtained from Google after long and difficult talks can now address the Commission’s concerns. (…) This way, both Google and its rivals will be able and encouraged to innovate and improve their offerings.”. Basically, the EC is only concerned with consumers’ interests, as stated in the Treaty on Functioning of the European Union. This makes sense but requires a deeper evaluation of the measures included in the settlement (this would matter to another post). To conclude, assuming that the measures really solve the EC concerns, it seems that all parties can benefit from the agreement (even competitors, although they wanted to take more benefit from it). Finally, the story seems to have ended. PS: Google is facing a second EC investigation, regarding the Android operating system for smartphones (two out of three smartphones work with this system), which may have bigger risks for the company. Categories: Abuse of dominant position, Competition Policy, Economics | Tags: google competition ec europe | Permalink. According to the Competition Authority of Portugal (AdC), abuse of dominant position “consists in the unlawful exploitation by one or more undertakings of their market power resulting in the exploitation of customers or the exclusion of competitors”, that is, the dominant firm may engage in anticompetitive business in order to maintain or increase its position in the market. As we know, this kind of behavior is forbidden not only by the national authority (AdC) (article 11) but also by the European Union through the Treaty on the Functioning of the EU, if it affects trade between member states (TFEU) (article 102). In 2009 in Portugal, a case of abuse of dominant position rose, when ZON Group and PT Group were accused of hurting their competitors by setting the prices of wholesale and retail services of broadband access, in an artificial way and without fairness, since PT Group is the only provider of broadband services. Through these tariffs, they increased the wholesale price and reduced the retail price, which is very harmful not only for its competitors but also for the consumers. The latter, are always harmed in the long-run, because this practice induces the exit of the competitors, reducing the variety. Furthermore, the wholesale supply was assumed as unavoidable for all the alternative operators. In addition, AdC considered that this behavior harmed the competitors since they were forced to use the only wholesale network in the market, own by PT and so the profits of the others competitors decreased. These discriminatory practices imposed limits to production, distribution, technical development and also investment, harming consumers once more. By adopting these behaviors, the defendants exploited positions of dominance which PT Group held in the wholesale and retail markets for broadband access and therefore, they limited the competition not only in the both markets but also in other products that depend on these services. As announced by the Portuguese Competition Authority, “any abuse by one or more undertakings of a dominant position in the domestic market or in a substantial part of it and “limiting production, markets or technical development to the detriment of consumers” is prohibited and so AdC sentenced the PT Group and ZON Group to pay a fine of 53.062 million euros. However, the two companies appealed, suspending the imposition of the fine and since the deadline for the process to be judged was exceeded, the prescription is inevitable and so they didn’t pay the fine. Recently, Google Inc. was suspected to incur on anticompetitive practices, in Europe and an investigation was followed by European Commission (EC) to check whether there was evidence on an anticompetitive behavior or not. Some outcomes from that investigation came out. 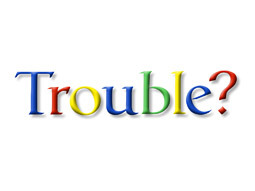 EC presented four concerns, which can compromise competition: the fact that Google prioritizes its own specialized search mechanisms (as Google Local or Google Flights) on a simple web search, creating a competitive disadvantage for other specialized searchers; the content usage of other searchers from Google; the creation of exclusivity agreements with publishers on the display of Google ads; and the contractual restrictions on online search advertising campaigns. To settle those concerns, Google proposed some antitrust concessions. The resolutions proposed were: labeling their own specialized search services and separate it, to promote a general results list; allowing other specialized searchers on its web search to prevent situations of content usage; giving publishers more freedom concerning to the display of ads on their web sites from others advertisement competitors; dropping restrictions on advertisement campaigns. EC’s concerns were mostly based on article 102 from the Treaty on the Functioning of European Law, which states actions, or the result of actions, which may be reported as abuse of dominance. Excluding competitors from the market or highly increasing difficulty to enter in the market by anticompetitive measures, may be part of a growth strategy. However compromising innovation, and limiting market matching to customers needs is a matter that risks even more growth. Is it a Déjà vu? Not so far ago, the same antitrust investigation occurred in US, however the US Federal Trade Commission did not seem too worried. Well, in fact there are differences regarding those cases, even though it is the same company in line, the geographic market changes and so does market structure. While in US 30% of market share respects to Yahoo and Bing (comScore Explicit Core Search Share Report, November 2012), in Europe Google is more popular, according to EC statements, it has around 90% of market share. From Competition Policy principals, the minimis approach is a good way to justify authorities positioning. Taking the same actions in US the expected results are not so relevant to intervene as it is in Europe – keep in mind that, no matter the intervention done, it always creates distortions to the market which is not functioning freely, thus the decision must be taken regarding the benefits for competition vis-à-vis the cost of distortions.